C9 will kick off Worlds this year. The 2018 League of Legends World Championship is nearly upon us, and the play-in stage will kick off the event with 12 of the top teams from around the globe. The play-in dozen were split into four groups of three teams each via a drawing on Sept. 23. The top two squads from each group will advance to the knockout stage, which will pit the four top-seeded teams against the four second-seeded rosters. The winners of those knockout matches will earn a spot in the group stage. The teams are ready—at least, they better be—to get Worlds started, so let’s take one last look at the play-in stage groups before the event begins. EDward Gaming appear to be the only team in Group A that doesn’t have any distractions heading into Worlds. Due to visa issues, Infinity Esports will arrive in South Korea later than expected, which changed up the play-in schedule a little bit. Infinity and Dire Wolves are likely the two weakest teams in this group, which doesn’t bode well with outside issues possibly playing a factor in performance. While EDG did finish fifth in the LPL during the summer, they still compete against much more highly-skilled teams on a regular basis, something that can’t be discounted. Dire Wolves are arguably the clear-cut second-place team in Group A, but with Shernfire’s suspension, it remains to be seen how the rest of the squad will handle his brief absence. G2 certainly have fallen from that second-place finish at last year’s MSI, but they shouldn’t have too much of a problem getting through to the group stage. The European team had a less-than-impressive Summer Split in the EU LCS, finishing fourth in the regular season and being swept out of the playoffs. They found some form at the European gauntlet, however, which could be seen as a glimmer of hope for EU fans. SuperMassive will likely give G2 some sort of test, though. The TCL representatives have proven to be the best Turkish team with championships in back-to-back split playoffs and even a top eight finish at MSI in May. Ascension didn’t have that great of an MSI performance, finishing in a tie for 12th at the event. And with two relatively-strong teams in their group, they would appear to be the consensus third-place squad at the moment. 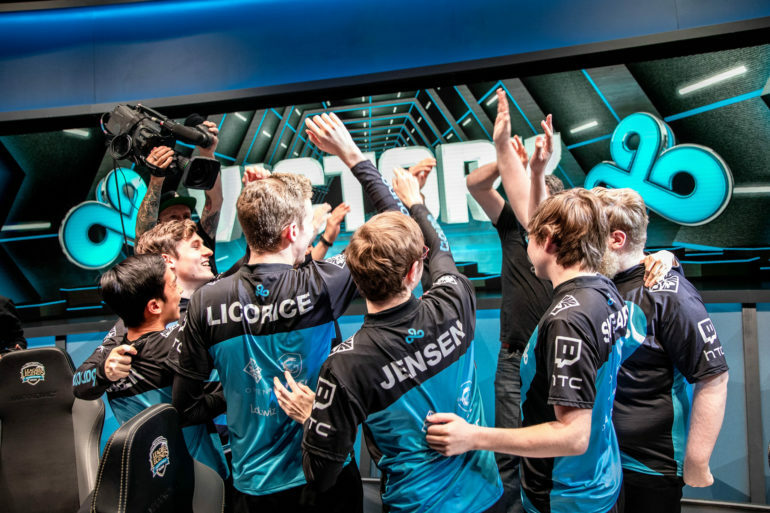 After a magical second half in the Summer Split, C9 advanced to the NA LCS finals. And despite their red-hot streak going in, Team Liquid humbled C9 in a three-game sweep. But that shouldn’t discourage C9 fans from being hopefully optimistic at Worlds. NA is usually disappointed at Worlds, but maybe C9 can somehow make it through the tournament. It’s not likely, but C9 should still advance to the group stage, where they have the opportunity to cause upsets and make their own history. To have that opportunity, they’ll have to go through KaBuM! e-Sports and DetonatioN FocusMe, who have awful names and are the strongest teams from their respective regions. KaBuM hails from Brazil, where they won both CBLOL split playoffs this year. FocusMe, on the other hand, proved they were the strongest team in Japan with a LJL Summer Playoffs title. Despite FocusMe’s accomplishment, C9 and KaBuM appear to be the stronger teams coming in. Finally, we have Group D. G-Rex, who finished fifth in the LMS during the summer split, headline this group. They are joined by the Latin American team Kaos Latin Gamers and Gambit Esports of the LCL. Gambit secured a top eight finish at MSI earlier in the year before winning the LCL Open Cup and taking the LCL Summer Playoffs. Kaos Latin Gamers topped the CLS Closing Playoffs earlier in the month as well. Similarly to EDward Gaming, G-Rex would look like the favorite out of the trio just based off of the competition they play against on a regular basis in the LMS. They do seem to a weaker team, though, which could be fatal with Gambit and KLG lurking.